Specific medical needs might require nursing care on a regular basis to do things such as change dressings or administer medication. 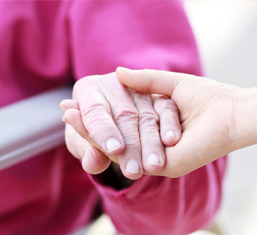 We ensure that at any one time there are always two fully qualified nurses on hand to deal with any medical issues so you can be guaranteed peace of mind should anything happen. Our nurses are friendly, caring, considerate and person focused. They provide care that is tailored to the individual, taking into account their personality and preferences and avoiding an institutional approach.